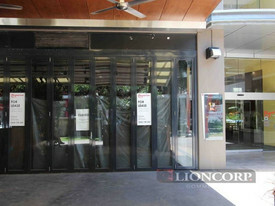 166 Commercial Real Estate & Properties in Fortitude Valley are listed in 7 categories. We have 88 OfficesSale & Lease , 57 Retail ShopsSale & Lease , 14 Medical and Consulting PropertiesSale & Lease , 4 Other Commercial PropertiesSale & Lease , 4 Hotels and LeisureSale & Lease and 2 Development LandsSale & Lease . 510sqm each floor Open plan space set over two levels High ceilings 10 carparks and close walking distance to all forms of public transport Mixed Use Zoning $550/sqm + GST per annum, incentives available depending on tenant and term Morgan Street is ideally positioned in one of Queensland's most significant urban renewal precincts, and offers unrivalled amenities and public transportation. For further information or to arrange an inspection contact Richardson Wrench Commercial Brisbane North now! Modern freestanding office Existing fit out Reception, boardroom, kitchen and breakout area Executive offices and large open plan area Disability compliant Male female amenities 7 Onsite car parks 47 Amelia Street is located directly off St Paul's Terrace in Fortitude Valley; the property is just minutes from the CBD. This location provides excellent access to a number of public transport options, with Brunswick Street train station being just a few minutes walk away. 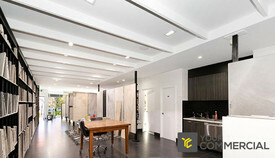 For further information, or to book an inspection, please contact the marketing agents at Ray White Commercial (QLD). Abundance Of Natural Light | Bike Racks & Showers | Cafes And Shops Nearby $700pw | 5 Person Workspa..
PROPERTY OVERVIEW $700pw Price incl. Brand new coworking space in Fortitude Valley at fantastic value! 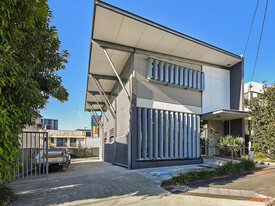 Amazingly located close to the trendy Gasworks Precinct, this office centre is the place to be – especially if you’re a startup or young business looking to grow fast and live well. The recently completed centre offers A Grade serviced offices and coworking spaces with fresh styling, contemporary furniture and oodles of natural light. 1000/1000mbps internet, AV gear and high quality front desk & administrative support bolster productivity no end while the sunny outdoor decks and relaxing breakout spaces give you a chance to get away from it all. For those seeking client hosting spaces, this centre has high quality conference, meeting, presentation and training rooms that can seat up to 20 people, plus onsite staff with experience running professional events – the spaces and support are guaranteed to impress every time. 24/7 access and the ability to scale up or down mid term with no penalties show that this Fortitude Valley coworking space understands the needs of growth phase businesses and startups – book a tour now to get initial opening rates at a premium coworking hub that has all the extra features to help you achieve more. 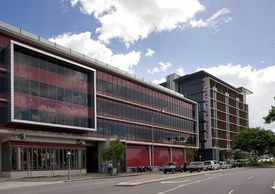 This cutting edge office building is perfectly positioned in the Emporium precinct in Fortitude Valley. It’s one of Brisbane’s hottest locations with great proximity close to Gasworks entertainment precinct, Fortitude Valley train station and James Street’s retail and restaurant strip. Indulge in on trend eateries, bustling boutiques, funky bars and eclectic live music scene – this cool Brisbane suburb has attracted a whole host of tech firms and startups looking for a cool alternative to the CBD where they’re surrounded by like minds. The contemporary A Grade building is disabled compliant with a generous ratio of car parking, bicycle storage, showers and changing rooms. There’s also an onsite cafe so you can grab a great cup of coffee, but step outside and you’ll be met with a wide selection of local coffee shops, restaurants and amenities on the doorstep. The advertised office space is perfect for a team of 5. If you need more or less space, we have over 30,000 furnished workspaces all over the world suitable for a team of 1 to 200+. Our award winning team offer a free service that will help you find the perfect solution for your needs, so reach out if you need more help. What you get for your weekly rent , 24/7 Access , 24/7 Security , Access to internal breakout areas , Access to Work Bar and kitchen facilities , Access to secure printer and scanner , Building outgoings included , Electricity usage included , Flexible terms , Conference Rooms, AV Gear, Presentation and Training Rooms Seating up to 20 people , Plug and play furnished workspace , Regular cleaning , Unlimited Business Grade Internet – 1000/1000 Building features , Abundance of natural light , Air conditioning , Bicycle storage , Car parking in building (Paid) , Disabled access and facilities , End of trip facilities e.g showers, bike racks , Onsite Cafe / Restaurant , Print, scan and copy facilities , Taxi / Uber stand close to building 500m to Bowen Hills Train Station 1km to Fortitude Valley Train Station 15 min walk to Teneriffe Ferry Terminal 650m to the trendy Gasworks Entertainment Plaza Surrounded by restaurants, gyms, retail shops and banks Who is Office Hub? Office Hub is the world\'s No.1 marketplace for office space. We have a huge global selection of coworking spaces, serviced offices and shared office spaces with flexible options to suit teams from 1 200 people. We\'ll take you on a tour of all the workspaces that fit your needs and work on your behalf to get the best price possible. We\'ll help you discover how shared office space can be the most beneficial and budget friendly solution for your business. www.office hub.com Conditions apply – the advertised price includes any incentives offered based on a 12 month agreement and is available to new tenants only. Please note that the rental rate may increase for a shorter rental period. A portion of the square meterage factors in access to shared space. Modern high quality office Corporate grade fit out Access via roller door and pedestrian door Excellent signage opportunity Great natural light common area Amenities include kitchenette, lunchroom, female and male toilets with shower Open plan offices meeting rooms Air conditioned throughout Ample on site car parking Existing fit out in place Secure and fully fenced 16 Julia Street is conveniently located directly off St Pauls Terrace in Fortitude Valley. This prime location allows easy access to Fortitude Valley Train Station and the Brunswick Street Mall Retail Precinct. For more information, or to book an inspection, please contact the marketing agents at Ray White Commercial (QLD). Tenancies from 130 430sqm available March 2019 Gross leases annually from $103,000 + GST Stunning polished concrete floors and exposed brickwork with high ceilings Open plan space ready for fit out to suit tenant requirements Separate kitchen area connected to grease trap Valley Metro car park, McWhirters car park, Valley train station and bus stop all within 100m Secure parking End of trip facilities with showers, lockers and secure bike storage Secure integrated building access system Please call Your Commercial to arrange an inspection. Ground Level Tenancy 2 134sqm $89,000 + outgoings + GST Ground Level Tenancy 3 46sqm $43,000 + outgoings + GST Full building refurbishment and tenancies are available now Wickham Street is the gateway to Chinatown, Brunswick Street and the Valley entertainment precinct The building offers classic heritage brick walls, double hung windows and prime exposure Excellent branding exposure and foot traffic Opportunity to join the likes of Longtime, Cloudland, Laruche and many more vibrant restaurants, bars and popular entertainment venues Please call Your Commercial to arrange an inspection. Abundance Of Natural Light | Bike Racks & Showers | Cafes And Shops Nearby $819pw | 7 Person Workspa..
PROPERTY OVERVIEW $819pw Price incl. Brand new coworking space in Fortitude Valley at fantastic value! 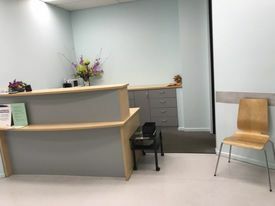 Amazingly located close to the trendy Gasworks Precinct, this office centre is the place to be – especially if you’re a startup or young business looking to grow fast and live well. The recently completed centre offers A Grade serviced offices and coworking spaces with fresh styling, contemporary furniture and oodles of natural light. 1000/1000mbps internet, AV gear and high quality front desk & administrative support bolster productivity no end while the sunny outdoor decks and relaxing breakout spaces give you a chance to get away from it all. For those seeking client hosting spaces, this centre has high quality conference, meeting, presentation and training rooms that can seat up to 20 people, plus onsite staff with experience running professional events – the spaces and support are guaranteed to impress every time. 24/7 access and the ability to scale up or down mid term with no penalties show that this Fortitude Valley coworking space understands the needs of growth phase businesses and startups – book a tour now to get initial opening rates at a premium coworking hub that has all the extra features to help you achieve more. 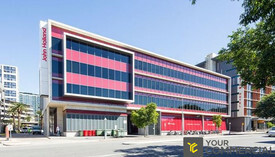 This cutting edge office building is perfectly positioned in the Emporium precinct in Fortitude Valley. It’s one of Brisbane’s hottest locations with great proximity close to Gasworks entertainment precinct, Fortitude Valley train station and James Street’s retail and restaurant strip. Indulge in on trend eateries, bustling boutiques, funky bars and eclectic live music scene – this cool Brisbane suburb has attracted a whole host of tech firms and startups looking for a cool alternative to the CBD where they’re surrounded by like minds. The contemporary A Grade building is disabled compliant with a generous ratio of car parking, bicycle storage, showers and changing rooms. There’s also an onsite cafe so you can grab a great cup of coffee, but step outside and you’ll be met with a wide selection of local coffee shops, restaurants and amenities on the doorstep. The advertised office space is perfect for a team of 7. If you need more or less space, we have over 30,000 furnished workspaces all over the world suitable for a team of 1 to 200+. Our award winning team offer a free service that will help you find the perfect solution for your needs, so reach out if you need more help. What you get for your weekly rent , 24/7 Access , 24/7 Security , Access to internal breakout areas , Access to Work Bar and kitchen facilities , Access to secure printer and scanner , Building outgoings included , Electricity usage included , Flexible terms , Conference Rooms, AV Gear, Presentation and Training Rooms Seating up to 20 people , Plug and play furnished workspace , Regular cleaning , Unlimited Business Grade Internet – 1000/1000 Building features , Abundance of natural light , Air conditioning , Bicycle storage , Car parking in building (Paid) , Disabled access and facilities , End of trip facilities e.g showers, bike racks , Onsite Cafe / Restaurant , Print, scan and copy facilities , Taxi / Uber stand close to building 500m to Bowen Hills Train Station 1km to Fortitude Valley Train Station 15 min walk to Teneriffe Ferry Terminal 650m to the trendy Gasworks Entertainment Plaza Surrounded by restaurants, gyms, retail shops and banks Who is Office Hub? Office Hub is the world\'s No.1 marketplace for office space. We have a huge global selection of coworking spaces, serviced offices and shared office spaces with flexible options to suit teams from 1 200 people. We\'ll take you on a tour of all the workspaces that fit your needs and work on your behalf to get the best price possible. We\'ll help you discover how shared office space can be the most beneficial and budget friendly solution for your business. www.office hub.com Conditions apply – the advertised price includes any incentives offered based on a 12 month agreement and is available to new tenants only. Please note that the rental rate may increase for a shorter rental period. A portion of the square meterage factors in access to shared space. Approx. 44m2 retail/office space Open plan, ready for your fit out Access to grease trap for food operators Suitable for a wide range of uses Frontage on to Wickham St Landlord is ready to sale inspect today with Exclusive Agent! Fortitude Valley is a neighbouring suburb of the Brisbane CBD. The suburb is well serviced by rail and bus networks and offers all business amenities. A bright double glass frontage building with prime exposure to James Street foot and car traffic and located amongst the vibrant James Street food, beverage, fashion and retail district. 101sqm, 123sqm, 50sqm spaces $700sqm gross rent Retail/multi use opportunity Ground floor Glass front and plenty of natural lighting Customer parking Great exposure, foot traffic and cars passing daily! Please call Your Commercial to arrange an inspection. Excellent connectivity to CBD, northern suburbs and Brisbane's domestic and international airports Onsite leading boutique hotel, providing corporate accomodation 524 SQM space located on first floor in the prestigious Emporium Hotel and Retail complex, entrance via two secure lifts on ground floor Tenancy to be offered in A Grade refurbished office quality Fine or casual dining and retail stores on the door step of your office Natural light at both front and rear of the building, exposed ceilings creating height and the inspiration for creativity abound Impressive open plan office space, easily split into two or three tenancy's No other precinct in Brisbane boasts access to as many facilities, services, transport or lifestyle options Additional parking available at the adjacent Homemaker South Centre Outgoings included in rental Available Now! Approximate If Applicable. For more information please contact Tony Morena. Be part of successful food & retail precinct Approx 91m2 plus additional outdoor dining area Superb fittout with classic dining layout in place Equipped with oven, wok stoves, cool room, dish washer and exhaust etc. Reception, drink bar & refrigeration ready Strong foot traffic, join in with exiting tenants including Grill'd, Guzman Y Gomez, Sushi 79 and other surrounding leading food & retail shops Inspect today with Exclusive Agent! Fortitude Valley is a neighbouring suburb of the Brisbane CBD. The suburb is well serviced by rail and bus networks and offers all business amenities. Both properties are currently leased to a long standing tenant. Total Land Area: 506m2 Lease Term: 4 x 3 x 3 ending 2 July 2021 Rental: $12,808 per calendar month + GST + outgoings A rare opportunity to acquire 2 absolute income producing and freestanding properties just 2.5 kilometers from the Brisbane CBD for $2,295,000. For further information or to arrange an inspection, contact Exclusive Agent David Bright 0419 714 893. Prime site in Central building adjacent to Guzman & Gomez 97m2 internal & 81m2 external + basement storage & chiller Designed for restaurant use with semi alfresco dining Busy highly regarded Emporium retail/shopping development Internal chiller, 100amp, 3 phase (min 100 amps per phase) Gas handling to 430 mega joules exhaust extraction around 3,000 litres per second Join Mecah, Grill'd, Buzz, Guzman, Tartufo, Ginga, Gyoza bar etc. Advantaged by 2 x City Glider bus stops within a few 100 metres Fortitude Valley is a neighbouring suburb of the Brisbane CBD. The suburb is well serviced by rail and bus networks and offers all business amenities. This petite shop located in the James Street precinct has plenty of impact due to its corner location on the property with plenty of light due to two glass frontages. 38.5sqm 1 allocated car parking space at $420pm Perfectly positioned off James Street Fantastic position to showcase fashion or any retail ideas Currently an estate agency Concrete polished floors Air conditioning Rent $36,000 plus outgoings $3,850 + GST Please call Your Commercial to arrange an inspection. Approx 51m2 Ground floor exposure to main Wickham Street, Fortitude Valley Practical open plan fully fitted Carpeted with ducted air conditioning Plumbing / kitchenette at rear of tenancy Suitable to office / medical / retail / food operators Motivated Vendor! Inspect today with marketing agent Joseph Miu 0402 963 355, Robert Lov 0416 339 991 Fortitude Valley is a neighbouring suburb of the Brisbane CBD. The suburb is well serviced by rail and bus networks and offers all business amenities. Approx 51m2 Ground floor exposure to main Wickham Street, Fortitude Valley Practical open plan fully fitted Carpeted with ducted air conditioning Plumbing / kitchenette at rear of tenancy Suitable to office / medical / retail / food operators Motivated Vendor! Inspect today with marketing agent Joseph Miu 0402 963 355 Robert Lov 0416 339 991 Fortitude Valley is a neighbouring suburb of the Brisbane CBD. The suburb is well serviced by rail and bus networks and offers all business amenities. 742sqm $401sqm 3 floors Freestanding building 6 allocated car parking spaces onsite 47m of glass frontage = plenty of natural light Fantastic location central to amenities of James Street precinct and Fortitude Valley Walking distance to Fortitude Valley Train Station and bus routes High ceilings Great exposure and signage opportunity Please contact Geoff for more information or to arrange an inspection. 681sqm 361sqm first floor retail showroom + 320sqm ground floor office $275sqm gross rent + GST Fantastic street exposure 8 onsite car parking spaces Competitively priced Located within close proximity to the busy Brookes Street and only minutes walk from the RNA re development and James Street retail precinct 300m from James Street markets and Emporium Hotel Prime corner position Excellent staff amenities and an internal staircase Please call Your Commercial to arrange an inspection. Fully fitted with existing Cafe fitout & equipment ready to go Approx. 120m2 modern yet simple design throughout Great exposure with two street entry access Suited to Cafe operators & other retail use Join in with the rest of local & corporate retailers at Emporium Inspect today with Exclusive Agents! Don't miss out! Fortitude Valley is a neighbouring suburb of the Brisbane CBD. The suburb is well serviced by rail and bus networks and offers all business amenities. 204sqm fitted out restaurant/ bar in highly populated mixed use development 52sqm alfresco area included at no extra expense Fully operational, fitted equipped with cold room, fridges, freezer, kitchen, furniture, bar much more Ready to go! Validated customer parking Communal grease Trap Popular commercial hub with the site having frontages to Ann Street, James Street, McLachlan Street Connor Street The complex incorporates 11 storeys of A grade office (17,500sqm NLA), over 200 residential apartments (MA apartments), and 420 car parks Benefit from being in very close proximity to arguably the Valley's most premium luxury car dealerships Lease Price: $112,200 p/a + Outgoings (33,048 p/a) + GST ( approx.) For further information or to arrange an inspection please contact the marketing agents from Ray White Commercial TradeCoast! High quality office space with existing fit out Modern reception, meeting room and open plan space Tightly held location in the heart of Fortitude Valley Great natural light Air conditioned Very central location close to train station and multiple bus stops For more information or to arrange an inspection please contact Richardson Wrench Commercial North Brisbane! 108m2 open plan office/retail space Polished floors Air conditioned Heritage/character building charm Suit creatives/office 1 car park included Seize this opportunity at low cost to place your business in the heart of Spring Hill/the Valley with off street parking and easy access to the CBD, tunnels to Gold Coast and Airport. Inspect these charming tenancies today! Won't last! Call The Commercial Guys today to book your inspection or for further information. Unless otherwise stated, the price/property may be subject to GST and/or outgoings. 52m2 office/retail space Open space with polished floors Air conditioned Heritage/character building charm Suit creatives/office/retail/medical 1 car park included Seize this opportunity at low cost to place your business in the heart of Spring Hill/the Valley with off street parking and easy access to the CBD, tunnels to Gold Coast and Airport. Inspect these charming tenancies today! Won't last! Call The Commercial Guys today to book your inspection or for further information. Unless otherwise stated, the price/property may be subject to GST and/or outgoings. 59m2 Ground floor cafe/retail Abundant natural light Air conditioned Heritage/character building charm Suit retail/office/medical/allied health 1 car park included Seize this opportunity at low cost to place your business in the heart of Spring Hill/the Valley with off street parking and easy access to the CBD, tunnels to Gold Coast and Airport. Inspect these charming tenancies today! Won't last! Call The Commercial Guys today to book your inspection or for further information. Unless otherwise stated, the price/property may be subject to GST and/or outgoings. 156sqm (approx) of office/showroom space $88,000 pa including car parking (plus outgoings) Ground floor tenancy with fantastic exposure and signage opportunities 3 onsite car parking spaces included in the rental Glass window frontage along busy McLachlan Street and James Street, Fortitude Valley Open plan layout with high ceilings Only moments away from public transport, cafes and award winning bars and restaurants Please call Your Commercial to arrange an inspection. 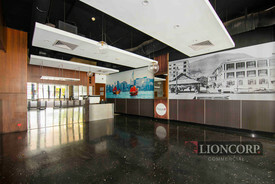 542sqm @ $495sqm can be split into multiple tenancies Level 1, available now Perfect fit for 'project space', collaborative open office space, innovative hot desking, private offices Located in Emporium Hotel and retail complex in the heart of the Fortitude Valley 24/7 access Restaurants, bars, supermarkets, cafes at your doorstep Natural light and exposed ceilings A grade refurbished office quality Walking distance to Bowen Hills and Fortitude Valley train station and various bus routes Mixed use building Substantial visitor parking available Air conditioning, 3 x lifts, 3 phase power Fibre optics and CCTV Please call Your Commercial to arrange an inspection. Heritage Listed Building 240m2 Creative Space On First Floor $66,000 p.a. Net + Outgoi.. This first floor office space has recently been refurbished, offering polished timber floors, exposed brick work and high ceilings featuring exposed joists and beams. Other Features: 240 m2 approx. open floor area. Modern kitchen including dishwasher. Modern bathroom amenities including access to additional toilet facility in downstairs common area. Outdoor balcony. Air conditioning. 2 car spaces. For more information or to book an inspection contact Tom Chan on 0478 586 131. A perfect fit for "Project Space", Collaborative Open Office Space, Innovative Hot Desking, Private Offices or a "Third Space Solution" Key features include: Tenancy to be offered in A Grade refurbished office quality "Work, Live, Play" lifestyle opportunity Easily split into two or three tenancy's Two secure lifts on Ground Floor On site leading boutique hotel, providing corporate accommodation Central side core configuration allowing space for flexible fit out designs Stylish open plan space with an array of natural light The property shares excellent connectivity to all major corridors in Brisbane providing direct access to the CBD, northern suburbs and Brisbane's Domestic and International Airports.